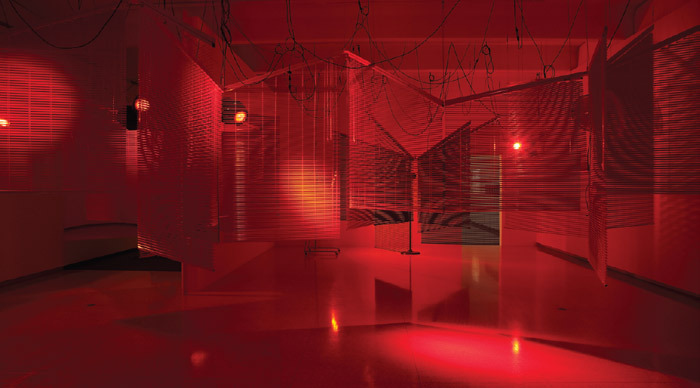 Haegue Yang, Yearning Melancholy Red, 2008, venetian blinds, mirror, moving lights, three sets of infrared heaters, fans, drum set, cables. Installation view, Walker Art Center, Minneapolis, 2010. THE WORLD CAN BARELY CONTAIN Haegue Yang. 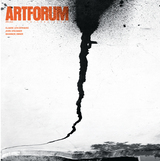 Since the mid-1990s, the Korean artist has navigated the streets of Seoul and the boulevards of Berlin with equal ease. Her installations, for which she is best known, follow suit. Although composed of such quotidian objects as venetian blinds and packing crates, they likewise move through a vast array of references, from Marguerite Duras to Marcel Broodthaers. Yang’s latest exhibition, too, was both a journey and a return, since the Walker Art Center in Minneapolis was the first US institution to show her works, in 2007.